Hay Decorating provides commercial painting, vinyl wall covering, epoxy, intumescent fire coating and anti graffiti coating services for businesses all over Western Canada. Based in Manitoba, we have offices in Winnipeg, Brandon and Portage La Prairie. We serve clients throughout Manitoba, Western Ontario, Saskatchewan and Alberta. 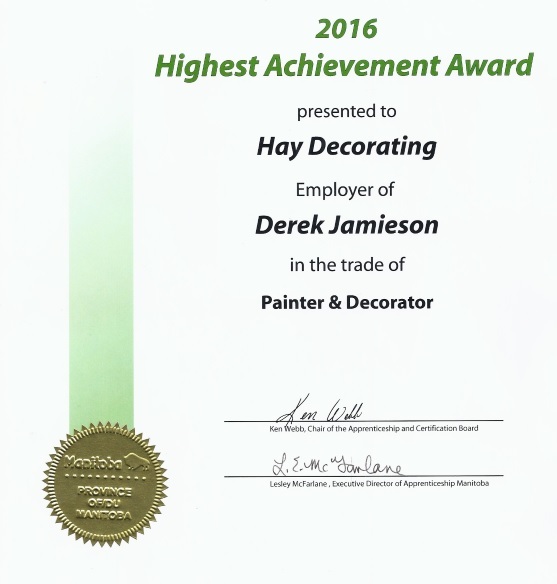 Hay Decorating’s number one priority is customer satisfaction. We strive to be recognized as professionals with a team goal to produce top quality work. 60 years in the business has been achieved due to our reputation and a stand up guarantee. 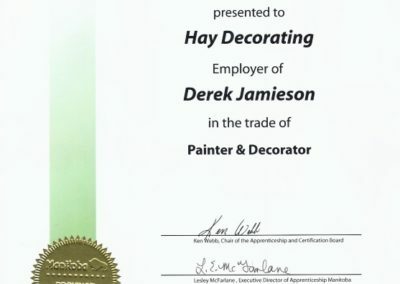 Congratulations to our employee Derek Jamieson. 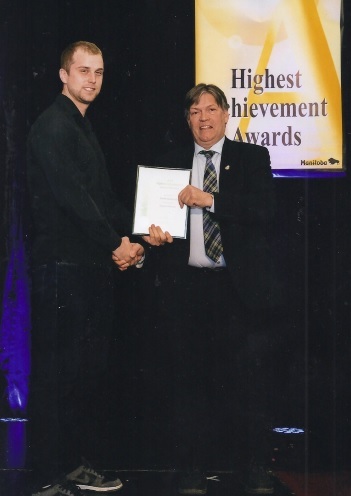 He was presented with the ‘Highest Achievement Award’ for Painting/Decorating from Apprenticeship Manitoba. Don't hesitate to contact us for more information on our services.